“There are only 24 hours in a day,” “Time flies when you’re having fun,” “Time waits for no man,” and other sayings about time have lost their impact and have become cliche. Time kills patience… hmmm – too close to “patients” and that just opens up a whole other can of worms. Time management is an illusion of the organized mind… I like it but it’s still not quite what I’m going for. Yeah, I like that one. I was hoping for something a little more graphic like “Time destroys, no murders, good intentions” but it really doesn’t cover the spectrum that “Time is a contradictory illusion” does. So why am I joining the billions of people in the world complaining about time? Because I’ve already ranted about the growing ignorance of commonsense until it’s become, well, senseless. I was asked my profession the other day. Of course I said “teacher” – I mean, I did it for ten years and I’m still an active member of the Ontario College of Teachers (just in case – whatever that means). But then, as usual, I mention that I’ve decided to raise my young son and write instead of go back to school. Okay, first off anyone who has kids (whether they’re stay-at-home or not) knows the impossibility of that statement and would never utter it. Second off, anyone who writes knows that even if writing is your sole priority there’s still never enough time in the day. I mean, the whole idea of being a “stay-at-home-parent” means that you actually pay attention to your child – you know, help them grow and learn and all those things care centres and teachers do? I do not let the television parent my child. Saying that, however, I don’t keep him away from the TV like it’s taboo, either – that’s 45 minutes of my day when I have time to myself… you thought I was going to say ‘to write’ didn’t you? No, any new writer knows you can’t make a decent living doing that unless you’re in advertising or copyrighting, which I’m not. No, being a former English teacher who knows a thing or two about the publishing world, I edit. So I spend that 45 minutes editing other people’s writing to be able to support my own writing endeavors. …and I need to scrounge together time to write in order to sell my articles to be able to write what I want. First thing in the morning I spend 1 hour on the computer while my son has his breakfast and plays quietly amusing himself (trust me, the fact that I can steal this hour at all is amazing to a lot of parents). So, now I get to write, right? I write here, for the website. I answer email, check my social media, run writing contests, search for agents, deal with my clients… and this stuff takes more time. So, when do I get to write? You’d think it would be in that hour and a half when my son is having his daily nap, right? But, no, that’s time for editing other people’s work. No, I look forward to the weekend – that’s when I get to work… for one day anyway. Sunday’s and Thursday afternoons for two hours when I become an irresponsible stay-at-home-mom and pass the kid off to his grandfather so that I can finally write. But do you want to know the worst part about “finding time?” Especially on the weekend when suddenly there’s this huge block of time that I get all to myself – I waste it on sleep. Yep. Being a full-time-parent of a toddler is exhausting and between running around after him, making meals, meeting editing deadlines for clients, writing articles to get notoriety and money for writing – when I finally sit down I can’t keep my eyes open or think straight enough to put a single line on the page. Honestly, I’m a creature of sleep. If I don’t get 8 hrs at night (and that rarely happens since I’m up at 3am trying to sing my son back to sleep – that darn parenting thing again) I’m a bear the next day. This long-term reduction in my sleep and disrupted sleep-patterns means that my cognitive abilities are shot by the weekend and I need that nap in the middle of the day (sleep in – Ha! The boy is up at 7am and I have to be too. Nice try.) just to make it through the next week. But guess what. As illusive as time is for me, I’ve somehow managed to get 2 non-fiction books published, over a dozen writing articles, an essay published in a writer’s guide… and my debut novel, Time’s Tempest (oh yeah, that time thing again), will be available for purchase around the world October 1st, 2014. And I’ve managed all this in the scope of one year while raising my son and freelance editing. So what’s my secret? 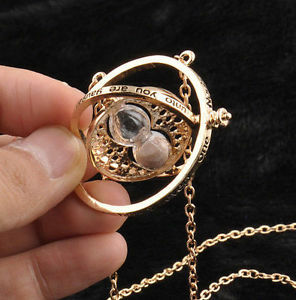 Well, J.K. Rowling let me borrow her Time Turner… shhh. There’s only one and you can’t have it.